A couple of weeks ago I helped an ex-coworker move. He was paying me a generous rate and it was a good opportunity to catch up with an old friend. 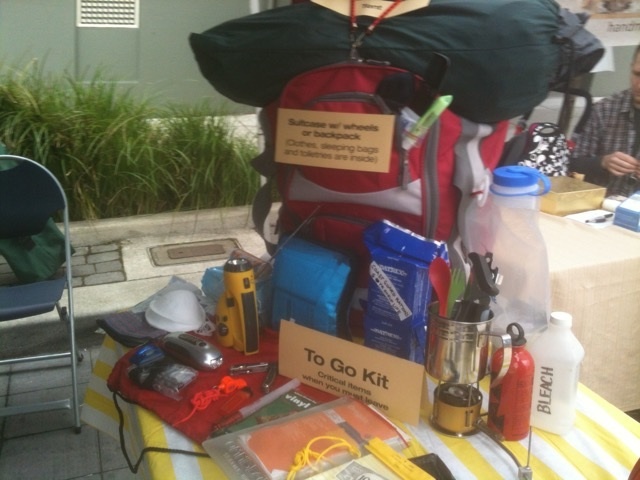 When I noticed his Neighborhood Emergency Team gear, I had to pick his brain about emergency preparedness. Most Portlanders have heard for years about the impending earthquake that’s over due. This became more prominent news based on a New Yorker article about the earthquake that is expected to hit the Northwest. Not having read the New Yorker article, I did see some responses to it on Facebook. 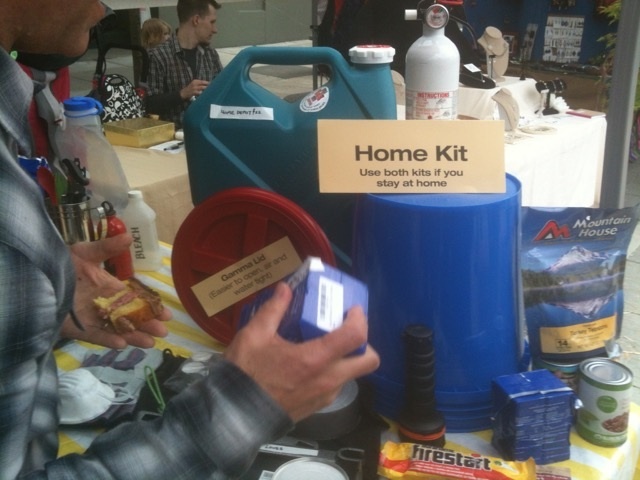 This was a motivation to explore emergency preparedness and take additional action to get ready for the big one. 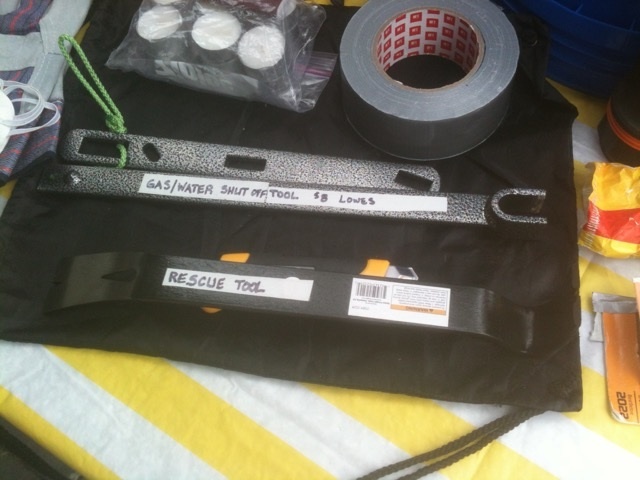 Emergency preparedness has been on my mind for a while. I’ve learned enough to consider what’s in store for the Portland area. The science behind it confirms the “meganess” of this quake. My denial about our impending doom has me wishing for a little earthquake that would jolt us into the idea of getting ready to deal with a major one. Maybe because it hasn’t happened for 300 plus years and due to the nature of our subduction zone a doozy is expected. We’re dealing with a disaster that’s hard to get one’s head around. Rumor has it that not everything around town has been seismically retrofitted to withstand tremors. It feels like we’re in store for an epic and real life disaster movie or maybe it will seem more like a play because it will happen in real life. I’m sure I could get a sense of if from seeing the movie San Andreas with all it’s CGI bluster. So far I’ve decided to pass on seeing it. It feels like there’s a bit of a safety net living some distance from the coast which is expected to get the worst of it. The first step is to survive the quake itself. I had forgotten that I need to consider what to do when the actual event hits. Stop, dropping and rolling isn’t going to cut it. I even thought I’d be a bit more secure if I had an idea of when earthquakes generally occur–is it early in the morning, afternoon, or whenever the mood strikes? Nobody seems to know anything exact except the inevitable. When I think basics, food and water top the list. At the very least a three-day supply of water and food is a necessity. There’s probably old food in our refrigerator that would get us through that. I think there’s hope that after three days the Government will help but I can’t rely on that. I hate standing in line too much. My goal is a two-week supply of provisions. There should be no procrastination in this matter. The shaking could start at any moment. All I have to do is drill up the plastic barrel I was going to use to capture rain water. If I fill it with the hose we’d have 55 gallons. Based on the recommended water suggestions, I’ve calculated needing 42 gallons for two people and a dog for two weeks. I’m not going to pile 42 jugs in the basement. Water is crucial. The last time Portland had an issue with drinking water and there was a water ban due to contamination I felt cut off. I was struck by that feeling of not having access to something and then craving and obessing over it. I was dying of thirst. A coworker at the time told us that hours after the water ban people were fighting over it at our local Fred Meyer and every last drop was bought up. I used a couple of the older gallon jugs from the basement and felt prepared. My wife and I have one plan that may not be realistic. It involves me dragging two kayaks and a dinghy for the dog and crossing the river to the west side where she will be involved with dealing with the emergency situation at her job. As absurd as any plan might be its at least good to consider one. What would you do? Think about how your plan might change at different times of the day because in an earthquake all your other plans will change. It’s worth imagining the hardship we will face due to this particular type of natural disaster. I’m trying to get my head around two to three months of electrical outages, the horror of the event itself (at least the Rock won’t be running around or even flying above in a helicopter) and the disruption of schedules, social order and the general agony (think telethons) that would come with this type of situation. I may be imagining some grim times ahead, but for me there will be a challenging aftermath to endure. Then there’s at least one special wrench you need for turning off gas. That sounds intimidating but I’d like to prevent fires. Everything from where you’ll be going to the bathroom to what you’ll eat and heat sources and lighting has to be considered. So it seems obvious to me that I better have a roll of duct tape. My friend broke it down and offered a few tips. He had done a presentation for one of his college communications classes so he was well versed in these matters. He talked about about starting small, getting a few extra cans of food a week at the grocery store. If I’m starving I’m not going to be picky, so pinto beans it is. He said you should have cash in small denominations so you don’t end up paying 50 bucks to the guy who can’t make change. We’re also going to need to present our financial and identification info to FEMA at some point so we better have the important banking, insurance and other information and numbers available on a USB drive or a DVD in a safety deposit box. He went so far to pack Jack Daniels and coffee for possible barter. Soon after the hoopla of this article we managed to order a new crank radio to replace the battered old one. I’ll save the new one for emergencies. We also have something called a Lifestraw for filtering water and flashlights that work. Earthquake reality is something we have to live with and a bit of action may help with the anxiety it creates. Should it all go down, I’m sure I’ll have a blog post about it six months after it happens. Can you Survive a Portland Summer? My brain dead summer series continues. I’m exploring personal reactions to living in the Portland area. If you’re looking for a more Orbit like theme you can get your pet cemetery fix at the Pittsburgh Orbit. Note: I’ve got nothing against The Rock who stars in the disaster flick San Andreas. All I know is that when the earthquake hits it’s sure to put me in a bad mood and a muscle bound hero type running or flying around saving everyone is going to be annoying.